Listing is for the mini binding tool only. 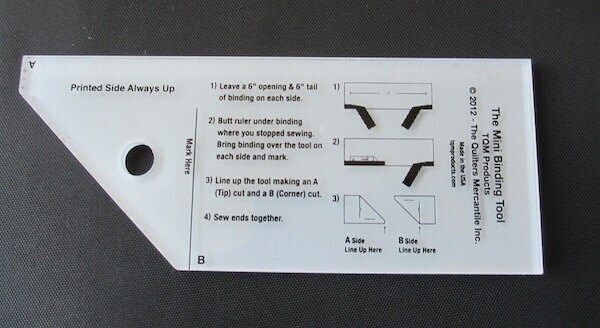 The mini tool is great for smaller projects like placemats, bibs, pot holders and more. 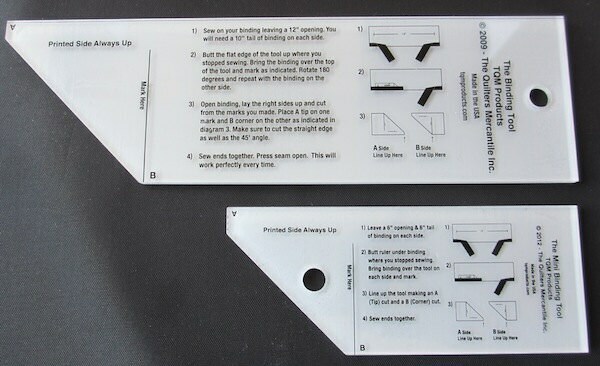 The Binding Tool is a must have tool for every quilter. When you finish the last seam of the binding only an angle seam will work to reduce the bulk of this last step. The Binding Tool makes a perfect ending every time. Two measurements and two cuts and you’re on your way to a great finish. Works beautifully! Made finishing my quilt binding super easy! Arrived quickly and well-packaged. Thank you! MSQC was out of these. Bought them here at same price and shipped promptly. Love it...thanks! Received the shipment quickly. Exactly what I was looking for. Received VERY quickly. Wonderful shopping experience.